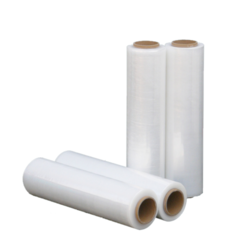 Our range of products include biodegradable stretch film rolls, paper bubble wrap by vg pack, vertical vacuum sealer, stretch wrap films, shrink wrap films and edge protector/angle board. 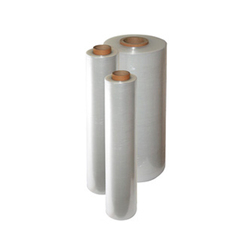 We, As a VG PACK offering our clients Biodegradable Stretch Film Rolls, with the affordable price range. 1.With high transparency, no discoloration, good self-adhesive, good retraction ratio, good retracting ratio, good tensile properties, 1 meter can be on 3-5 meters use. VG Pack has been supplying Packaging Materials such as Paper Bubble Wrap, Wrapping has never been easier and more secure. Continuous perforation allows you to tear your pack at the most efficient custom length without cutting. Compact, light-weight, intuitive and is easy to wrap your products. Material Reduction: Reduces your wrap and void fill packaging materials ; thus, saving you space, time, effort and money. Cushioning: Helps eliminate damage with excellent protection. The hexagonal cells create an interlocking web that protects all of your items. This machine is based on impulse heat sealing technology. The bags will be heated from one side and seal seamlessly. With vacuum nozzle it can create a close to vacuum environment in the bag for protection of the product inside. It suit for all the solid products. Not perfect for powder and liquid. a. Stand machine with casters. It is easy to move. b. High packing speed. Only need 10s-12s for vacuum, 12s-15s for vacuum + gas filling. c. If connect with an gas mixer, it can also support modified atmosphere packing. d. The machine controlled by mechanical control panel. This controller is stable and very easy to handle for user. e. It suit for both small package and big package. VG Pack’s premium stretchwrap. A quality hybrid cast film offering superior elasticity, higher puncture resistance and excellent ‘stretch memory’. These benefits maximize the value per wrap and ensure stable and secure pallets long after wrapping has been completed. This film has ultra high clarity for ease of product identification and barcode scanning and is virtually silent to apply. Enjoy the peace of mind as your goods are transported across the country and around the globe. CLING Specially formulated one sided cling means Clearwrap clings to itself but not the neighbouring pallets. MEMORY Excellent ‘stretch memory’ means guaranteed pallet integrity, keeps loads stable and secure during transport and long after film is applied. MPUNCTURE RESISTANCE Extra tough film with high puncture resistance which practically eliminates tearing on sharp irregular products and pallet corners. PROTECTION Rolls come packed in durable cardboard cartons or heavy cardboard outer for pallet lots to prevent roll damage and dust build up. o achieve the highest possible machine efficiencies it is important that a good shrink wrapping film of consistent quality is used. VG Pack supplies a complete range of films that have been fully tested to ensure efficient running on all VG shrink wrapping machines. By sourcing large quantities of film directly from the manufacturers VG Pack is able to offer high quality, affordable shrink film for all applications. 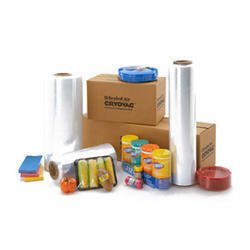 Shrink wrapping for presentation purposes should provide a superbly smooth skin tight, value adding, tamperproof finish to a wide range of products such as stationery, games, DVDs, computer software etc. Certain presentation films can also be used for the packaging of many food products like pizzas, trays of meat and fruit. PVC Shrink Wrapping Film is supplied centre folded and is mainly used in conjunction with manually operated 'L' sealers giving a glossy, clear, tamperproof finish. PVC is available in 40% by 40% balanced shrink ratio and at various other shrink rates depending on the application. Most common thicknesses are 17, 19 and 25 micron, although 38 micron is also available. Polyolefin Shrink Wrapping Film is supplied centre folded and is an ideal consumable material for use with fully automatic L-sealers, semi automatic L-sealers and chamber machines. Polyolefin films have all the advantages of PVC as well as being non-toxic, corrosion free and with exceptional seal strength and shrink performance. They are available with shrink rates of up to 55 percent and thicknesses of 12, 15, 19 and 25 microns. Also available are films for low temperature and limited shrink applications, i.e. for use with large low height products such as calendars. VG Angleboard products are made from 100% recycled materials and are 100% recyclable. VG Angle Board is made of multiple plies of recycled paper, laminated together with glue and encased in a full outer wrap of paper. The board is then formed into a rigid right angle. *Together, the VG Angle Board leg lengths cannot exceed 5 inches (125 mm). Combined leg lengths measuring more than 5 inches will be manufactured in angleboard (non-wrapped) products. Once your goods have been packed and are on their way by road, container, rail or sea, there is usually no need to worry. Not if your goods are secured properly, that is, as even minor occurances may release forces which can make even robust products and packaging give way. When hurricane rages at sea, when a lorry brakes hard or hits a kerb , or when a railway wagon is being shunted very violent forces are unleashed. With our dunnage air bags your goods can be given practically the best protection that is humanly possible. Our dunnage air bags have the unique property of "nestling" around the product and so filling the gaps which can otherwise easily result in transport damage. Gaps which can be narrow or wide, large or small, vertical or horizontal. Angled, round or rectangular perhaps, but rarely in standard sizes. Our dunnage air bags come in both disposable and reusable versions as well as many different sizes which can withstand great pressure and the majority of stresses and strains. Our dunnage air bags are therefore suitable for protecting any type of goods- virtually regardless of the mode of transport. The organisation and implimentation of a shipment are optimum only if protection of the goods is optimum. Co-operation with BatesCargo- Pak is a good place to start! Cordlash, polyester lashing straps; woven lashings & composite lashings are the safe and cost effective alternative to steel strapping, chains, wire rope and ratchet straps. Cordlash polyester lashing solutions have many advantages over conventional lashing products. Would you like to eliminate transport damage to your cargo? Cordlash polyester lashing is the safe, cost effective & time saving cargo securing product that eliminates cargo damage. Insufficient or incorrect secured cargo can cause serious incidents sometimes even resulting in the loss of human life. Damage prevention alone is often not enough! Cordlash polyester lashing eliminates incidents and damage to your cargo. The latest technology in flexible, non-metallic lashing and perfectly fit for truck, container & railcar applications. Read more about Cordlash composite polyester lashings. Replaces conventional cargo restraint products such as heavy duty steel strapping, wire (rope), chains and ratchet straps. Cordlash woven polyester lashings greatly reduce or even eliminate the need for wood blocking & bracing. Cordlash (woven) lashings are most commonly used for direct securing in/on ships, flatracks and railcars. Made using low-density polyethylene film, it is ideal for protecting fragile and irregularly shaped products. 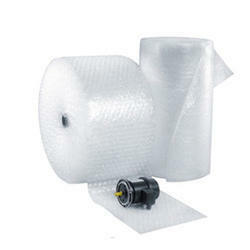 Bubble wrap also provides very good surface protection and prevention against vibration and shocks. Bubble wrap can also be used as void filling. Bubble wrap is used for many applications within numerous industries, including retail, electronics, ceramic, glass and automotive. There are several different bubble sizes available and the material can be antistatic or conductive. Bubble wrap is used for many applications within numerous industries, including retail, electronics, ceramic, glass and automotive. There are several different bubble sizes available and the material can be antistatic or conductive. Closed cell structure ensures dust, water and wind resistance. Can be laminated to a number of materials - paper, foil, plastic and aerothene. Bubble rolls can be split into quarters, thirds, halves or any width required. 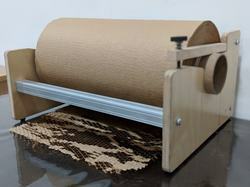 Both Aerothene and BubbleWrap can be converted into sheets, bags or pouches to customer specifications. 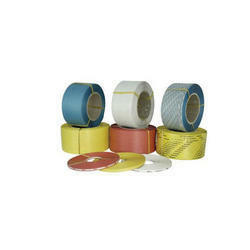 We are a leading manufacturer and supplier of a wide range of BOPP Tapes, Adhesive Tapes and Self Adhesive Tapes. Our products are customized as per the specifications of various user Industries and are supplied all over India. We have been manufacturing, exporting and supplying a wide range of Self-Adhesive Tapes including sealing tapes, self adhesive tapes, coated products, carton sealing tapes, box sealing tapes etc.. We have a state-of-the-art production center at Bangalore and have adopted international manufacturing techniques thus assuring that the ordered consignments are manufactured and despatched in the shortest frame of time. Further, our commitment towards Quality has enabled us to win over and retain the biggest buyers in Industry, over the years. We religiously follow Good Manufacturing practices and take utmost care of the enviournment. 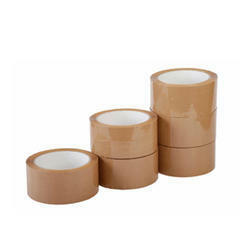 Strapping Rolls that are made from best quality materials that offer long life and durable structure to them. The Strapping Rolls are available in different width thickness and breakloads to cater to varied needs of our diverse clientele. 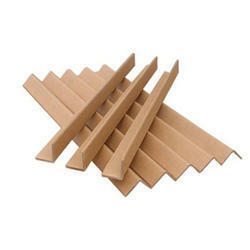 Strap rolls available in various colors and sizes. These strapping rolls are not only the aggregation of the intensity and the tenacity of steel strap, but also have overcome the disadvantage of the tradition packing material such as insufficient intensity, brittle and so on. 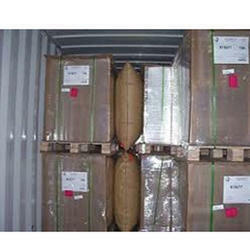 It is is widely used for different shipping applications. Today, PET STRAP (POLYESTER STRAP) is recognized as a new environment protective strapping material to substitute Steel Strap & PP Strap, since it has the absolute advantages than other products, such as Better Pull Resistance, Superior Elasticity, Low Creep (Extension), Better Temperature Resistance, Excellent Rusty Resistance, Alternative Colors, Easier Operation, Extreme Safety And Economy etc. 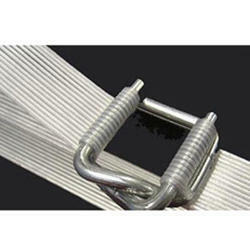 PET straps are widely used in many different branches of industry, such as can industry, steel industry, architecture materials binding, chemical fiber industrial, paper plants, glass industrial, agriculture, electronics, and so forth. Excellent Tensile Strength and Welding Strength: Thus it is used for many heavy packages. Excellent Tension Maintenance. It maintains tensile strength for a long stretch of time with minimized strap slacking, while ensuring excellent shock resistance ideal for long-distance, long-period transportation. Super Weather Resistance. It can be stabile under temperature of -50¿¿¿- 100¿¿¿, which ensures PET straps widely applied under any conditions. Comparing to other straps, PET strap is the "Beauty", as it can be made in different colors with good transparence. Also, it can be recycled for it is an environment protective strapping material. Good Economical Application. 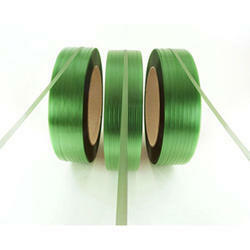 The density of PET Strap is only 1/6 of Steel Strap for a given length, but its price is much cheaper than Steel Strap.